’90 Day Fiance’: Asuelu Shows Samoan Pride At Travel Event – Did He Get His Green Card? 90 Day Fiance Asuelu Pulaa is one proud Samoan. The soon-to-be father-of-two shows off his heritage with pride as he participates in a travel show. Asuelu’s latest sighting stirs curiosity, particularly with regards to the status of his green card. Is the Samoa native finally an official resident of the U.S? Looks like Asuelu Pulaa is adjusting quite well with his new life in America. The 90 Day Fiance celeb has been in the country since last year and things are definitely looking up for him and Kalani Faagata. Although he is getting familiar with American life, Asuelu is not turning his back on his heritage. In fact, Kalani’s husband is not one to shy away in flaunting his grandiose Samoan roots ever since he set foot in the country. Proving that he’s still the same Samoan dude that fans adore on hit TLC reality show, Asuelu strips down to his traditional “lavalava” and shows off his rich culture. 90 Day Fiance Fans Think Asuelu Got His Green Card – Is He Working Or Just Volunteering? 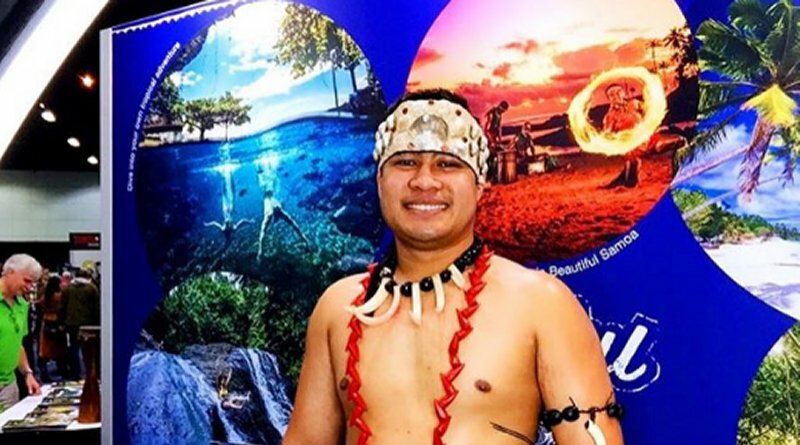 Earlier this week, Asuelu Pulaa represented his home country at the LA Travel & Trade and Adventure Show. The 90 Day Fiance dude appears proud and ecstatic as he shares a glimpse of Samoan culture at the event. In a series of Instagram posts, he posed alongside fellow delegates in what appears to be a global event. The reality star also took photos with his wife Kalani, son Oliver, and sister-in-law Kolini. With Asuelu Pulaa’s special participation at the event, many are wondering if he was employed by the organizers to work for them. This leads to speculations that the reality star already acquired his green card and can now work legally in the country. Are Kolini And Asuelu Now In Good Terms? Fans of 90 Day Fiance will remember Kolini Faagata as the overprotective sibling of Kalani Faagata. 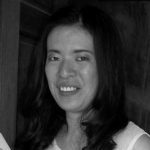 She’s also very vocal about her disapproval of Asuelu Pulaa, especially during the early stages of his relationship with her sister. But the two managed to work on their issues, making their bond as a family stronger. In fact, Kolini Faagata previously proved that she can be a good sister-in-law to Asuelu Pulaa. Shortly after the 90 Day Fiance Star’s wedding to Kalani, Kolini warmly welcomed him to the family. She even defended her brother-in-law from rumors alleging that he’s autistic and suffering from other disorders. “I’ve spent plenty of time with Asuelu to know that he’s not autistic,” Kolini stated. What do you think of Asuelu Pulaa’s Samoan side? Do you think he already got his green card? For the latest scoop on 90 Day Fiance, check back with Soap Dirt! ’90 Day Fiance’: Kalani Messages Asuelu’s Other Woman – Hid Cheating From TLC Viewers?